Three weeks ago my fourth son was born. As I hold this small, beautiful little person in my arms and stare at his sweet, delicate face, I am content, grateful, and happy. In this moment, it can be easy to forget that my son, this incredibly good gift, is the result of nine months that were not easy, that were often uncomfortable and difficult. My wife could attest to that even better than I, but we both know that the only way a baby comes into the world is through difficulty. That difficulty is so worth it, though, because of the joy that it brings. As I look at the new Showit it’s so exciting to see how far we’ve come. It has been a long journey and often times it is easy to forget the struggles that we experienced this year as our company underwent a change of ownership. It was one year ago that we first announced the change, and now, this coming Sunday, we get to celebrate with so many friends at our sold-out Showiteer dinner to kick off WPPI. Throughout the coming week we will be on the tradeshow floor getting a chance to spread some Showiteer love, and we would be so happy if you would stop by and say hello. The WPPI expo gathers photographers from around the world and it can be a bit overwhelming, so it is our desire to create a warm and friendly space where you can come get a hug and get to know some other Showiteers, who will undoubtedly give you support and encouragement. We will have guests in our booth and you can hear many of them teaching at the conference. We know that the photography industry oftentimes is a lonely one spent behind computer screens, many times with no “co-workers”. The closest opportunity for shared understanding is commonly through social media, but we understand the importance of the connection that only happens when you come together in person with a shared vision and goal for your business. It was out of a desire to create that connection that we launched Showit UNITED four years ago. It is a time to connect with each other in person, to learn and grow with others who aspire to create their own unique photography business. 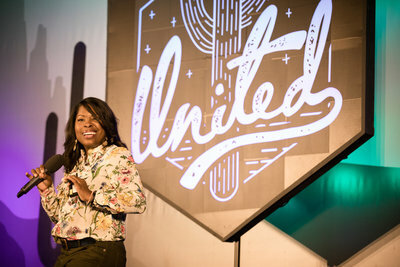 Tickets for UNITED 2015, which will be in Scottsdale, Arizona on October 18th-20th, went on sale this week and after the first two days we are almost full. At this time we still have some tickets remaining, so we invite you to join us for this amazing event. We guarantee it will be an incredible time of learning and developing relationships that will help propel your business to the next level. 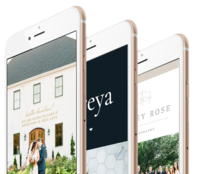 Last fall we launched Showit Custom Mobile sites which is the first and only solution for creating a completely customized mobile design. The response has been incredible and we have seen thousands of unique mobile sites created specifically for the mobile experience. Now, we are excited to announce at WPPI that optimized WordPress blog hosting is now included in all Showit subscriptions. We understand the importance of blogging and we want to make it as easy as possible for you to manage all of the technicalities and intricacies of building a blog that represents your brand well. 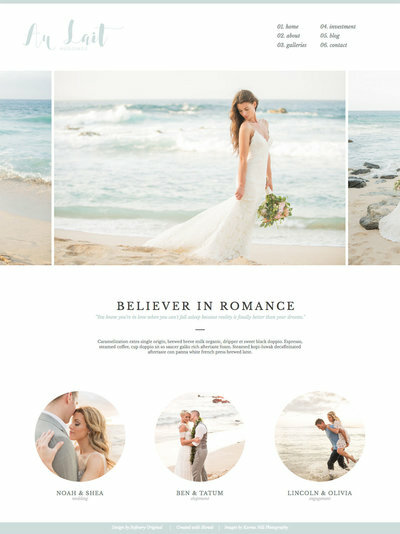 Just as we took on the status quo of templated websites seven years ago and built Showit to give you complete creative control of your website, we are excited to take on the challenge of integrating your blog with your website in a dynamic way that accurately represents you and your brand. If you don’t have a blog but have been looking at adding one to your Showit site, now is a great time to get your Managed WordPress blog set up, as you will then be receiving the new updates from Showit as they launch. If you currently have a WordPress blog, there are some huge advantages moving your blog to Showit. It is optimized to be extremely fast, it could reduce a hosting expense, and our support team will handle the migration for you. As we move forward, we believe Showit WordPress hosting will be a key part of giving you the freedom to create a unique web presence that truly reflects your personal brand without compromise. From the entire team at Showit, we are excited about the road ahead and thankful for the opportunity to serve you and your business. Looking forward to giving you a hug either at WPPI or United 2015!